Gothic metal arguably reached its peak about two years ago with grand releases from the genre's heavyweights Nightwish, Within Temptation, Lacuna Coil and even the pseudo Goth-metallers Evanescence. In the past twelve months, not much has been heard from the genre other than Lacuna Coil's mediocre "Karmacode", but that is all about to change as new releases like Tristania in January and Elis' recent album "Griefshire" are both set to sway away from the cliches of both genres. 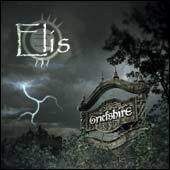 The fact that "Griefshire" is Elis' third effort is observable throughout the album. 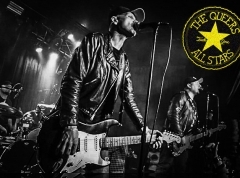 The songs come across as confident and focused, and sound about as tight as gothic metal songs - known for their looseness by definition - can be. The atmospheres and soundscapes are beautiful and smooth, with frontlady Sabine Dunser reaching the same delicate range as Within Temptation's Sharon den Adel, and in many songs actually outshines that. Her voice is also much more confident, and doesn't sound as fragile even on the highest notes. This, together with her ability to sing low-end and high-end vocals at equally high levels brings the much needed extra character to the tracks, separating the band from their colleagues effectively. The instrumentals are standard gothic metal, nothing worth specifically mentioning that you haven't heard on other albums before "Griefshire". That is, basic power-chord based heavy riffage, which is slightly faded to the background with the producer's focus on refining the already angelic silky vocals even further. This can also be seen on the dual blast beats on "The Burning", as the production has softened their sound into the background so they won't disturb Sabine's vocal duties - a good decision in my opinion as it adds sharp contrast and highlights Sabine's voice better. "The Burning" is also the song in which the band utilizes most growling (which generally is used sparingly across the album), with third guitarist Tom Saxer's deep voice adding a grave contrast to Sabine's soft vocals, again adding character to the songs that might otherwise sound bland. But don't worry, there are earpleasing solos here and there, and the riffs don't follow a same pattern on every song, saving the band from the disaster of having unmemorable songs. Indeed, it is easy to distinguish songs from one another. Take "Remember The Promise" for instance, which delivers a fast scale-based solo mid song and faded back 'gang choir' in a part of the song. There's no way you could possibly mix this up with "Die Stadt", which is a quiet song with plenty of texture brought by the heavier-than-normal riffage and the fact that the vocals are in the song are in German. Or take the brilliant finishing track "A New Decade", which best brings across the bands superior ability to combine metallic solos and Sabine's vocals together, with tone and pitch alterations suddenly erupting in places you wouldn't expect, and quiet/loud dynamics working their way through the unconventional structure, where the difference between verses and choruses is blurred to the extent that you're not sure which part of the song is which. The ability to distinguish the songs from one another is also the biggest strength of "Griefshire" and what will eventually lift Elis above most other gothic and pseudo-gothic metal bands. The album is strong in almost all aspects, but especially the vocal work is guaranteed to stun anyone listening. It's borderline pop, though nowhere near say Theatre Of Tragedy, borderline opera though not as obvious as Tarja Turunen's interpretations (ex-Nightwish). It's too bad Elis are on a label as small as Napalm Records, because regardless how awesome "Griefshire" is, they'll continue to be sidelined by much bigger and much inferior bands (I refuse to refer to the obvious band beginning with E), which is a problem that cannot be solved without moving onto a major label. Lets hope they do that soon, because this is the best goth-metal album I've heard since 2004's "Once".